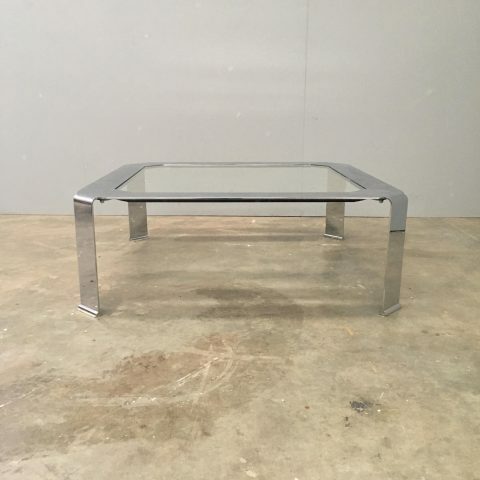 Mid Century Italian Coffee Table. 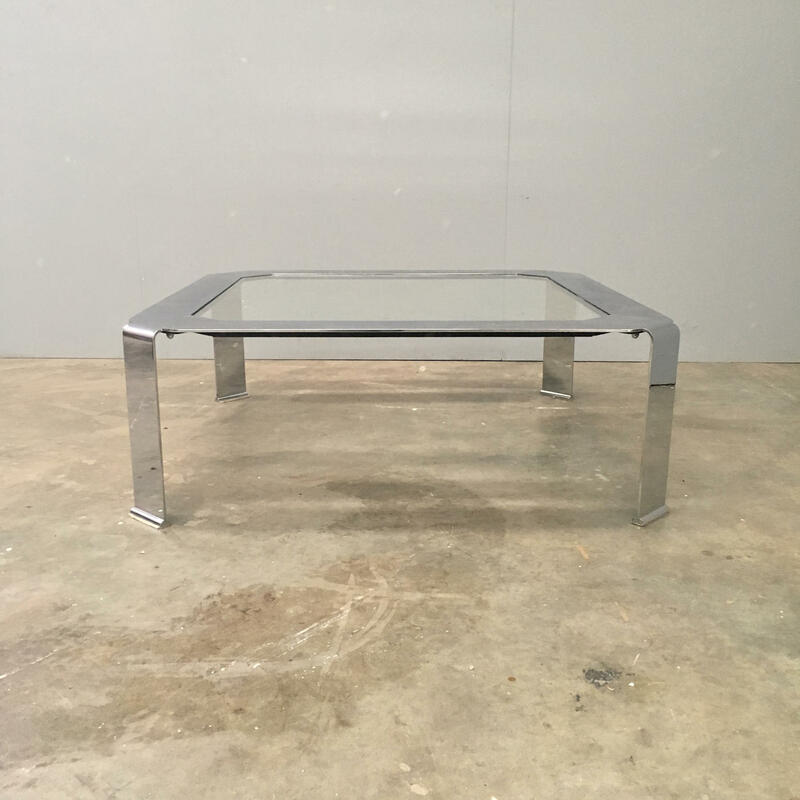 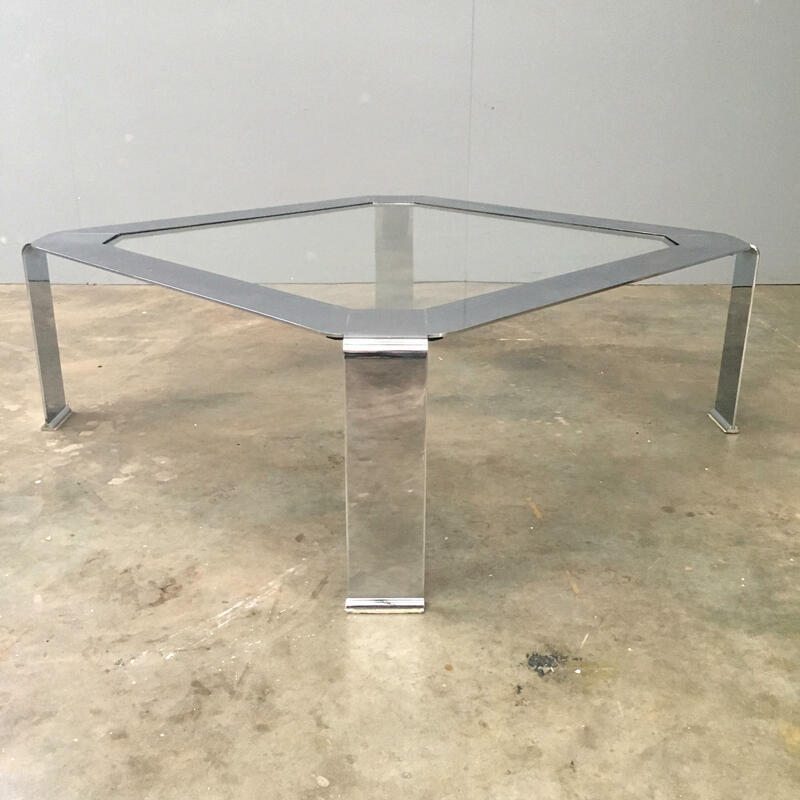 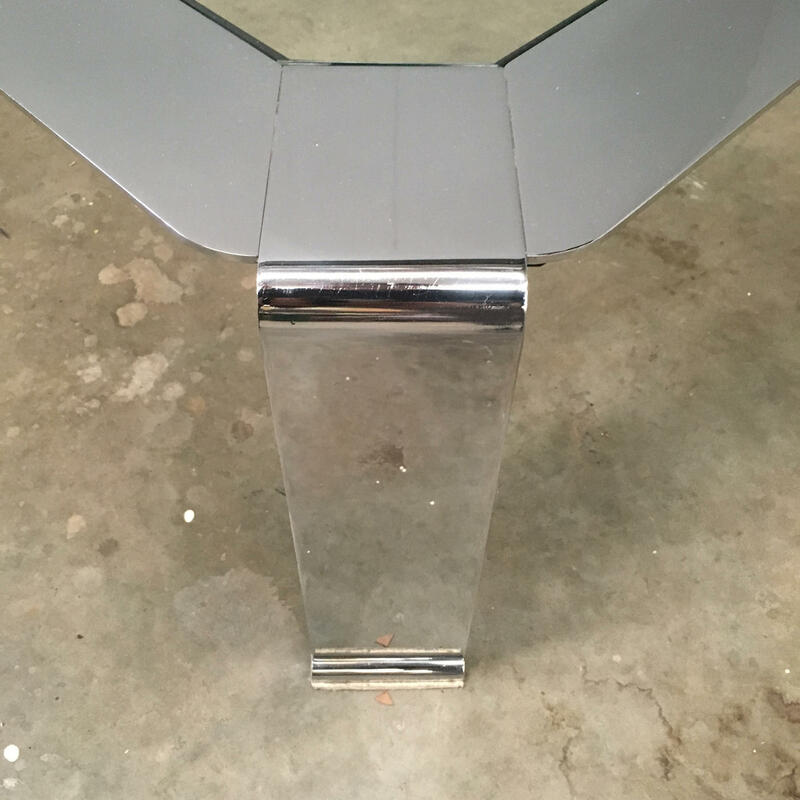 Square in shape, it has a nice heavy quality Chrome plated base with central glass top. 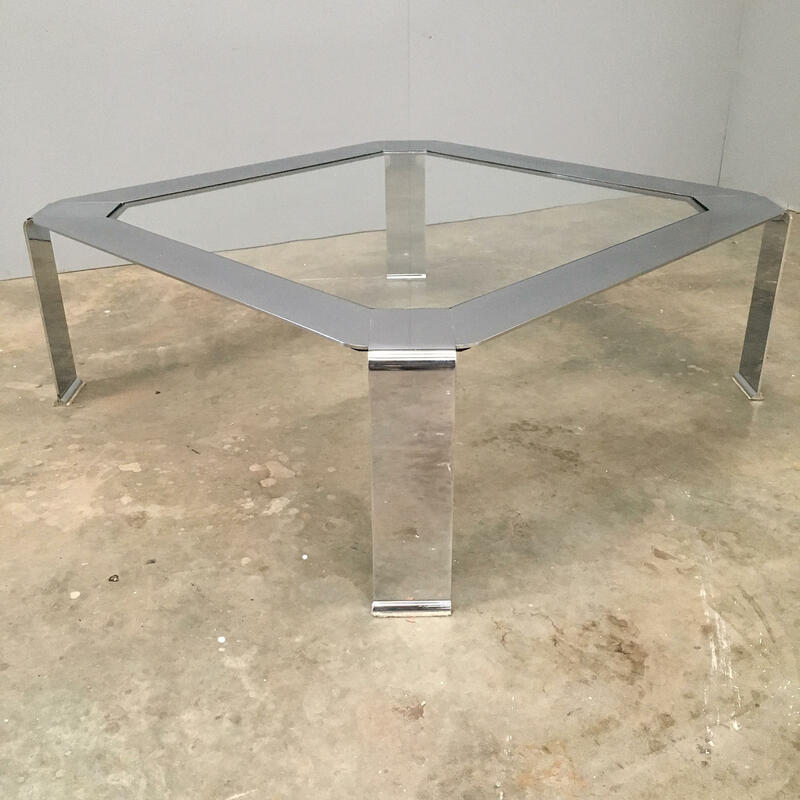 The piece dates from the 1960s.